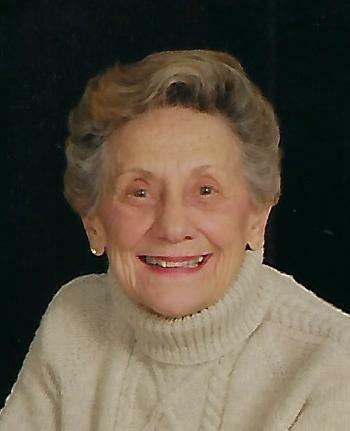 After enjoying a full life, Joan M. Streck, of Appleton, passed away peacefully at her home on December 3, 2018, at age 88, following a year-long battle with cholangiocarcinoma. Joanie was born in West Allis on May 22, 1930, to Henry V. and Leone (Guerin) Rammer. On October 4, 1950, she was united in marriage to Donald Streck. The couple enjoyed 45 years together until Don’s passing in 1994. 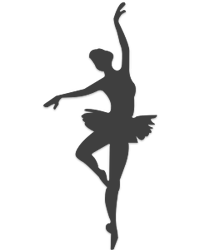 Joanie taught ballet, tap and jazz through the Appleton Recreation Department for many years. She was an original member of and choreographer for several years for the Silver Foxettes. Many Decembers you could find her and other Foxettes ringing a bell for a Salvation Army kettle while dancing to jazzy Christmas songs in the entrance to Copps grocery store. According to the Salvation Army, their kettle collections were always larger on those days. Joanie enjoyed spending time with her family. She was an integral part of their lives and their biggest fan at sporting events. She thoroughly enjoyed knitting sweaters, slippers and mittens for her family and friends. Joanie was a Bridge Life Master and thoroughly enjoyed playing Wednesday afternoon bridge at the Appleton Bridge Club. She was a lifelong golfer, and in recent years it became her passion. She was a little frustrated when, in 2017, her health forced her to take a cart instead of walking the course. Joanie could strike up a conversation with anyone…and often did. Joanie was preceded in death by her parents, husband Don, sister Carol Miller, brother Bob Rammer and nephew Mark Rammer. She will be dearly missed by her sister, Judi (Steve) Hastings, Glen Ellyn, IL; her four children: Deb (Dave) Wilz, Stevens Point, Steve (Diane) Streck, Fitchburg, WI, Dave (Nancy) Streck, Appleton, and Stacy Streck, Appleton; grandchildren: Mike and Chris Wilz, and Katie and Alyssa Streck and several nieces and nephews. A celebration of Joanie’s life will take place on Friday, December 14, at St. Mary Catholic Church, 312 S. State St., Appleton, beginning with a visitation from 9 am until 10:45 am, followed by a Mass with Father Bill Swichtenberg officiating. Interment will take place later at St. Mary Catholic Cemetery, Appleton. In lieu of flowers the family requests those wishing to express sympathy consider a donation in Joan’s memory to St. Jude’s Children’s Hospital, Children’s Hospital of Wisconsin or Fox Valley Humane Association. The family would like to thank Dr. William Rilling and Cheryl Pope at Froedert Hospital for the wonderful care they provided to Mom this past year. Also, many thanks to Ascension Hospice, especially Makenzie, Jordan, and Tracy for the love and care they showed Mom these last two weeks.